Another #Choctoberfest post, another sponsored post from one of our fabulous sponsors! 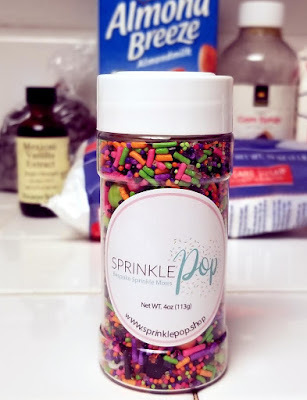 Sprinkle Pop makes cool sprinkle mixes that are some of the most unique and colorful I've seen. 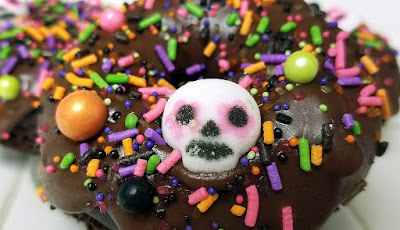 They sent me a cute pink sprinkle mix and a great Dia de los Muertos mix. The round ball pieces were really delicious, and the sugar skulls were fun and sweet. 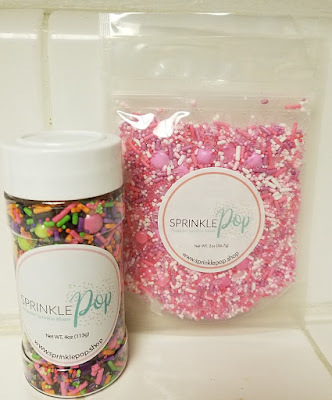 Sprinkle Pop also creates custom bespoke sprinkle mixes, so if you don't find exactly what you're looking for on their site, you can contact them and they can whip up any sprinkle combination you can come up with. To find out more about Sprinkle Pop, visit their Instagram, Facebook, and Pinterest pages. I paired these super cute sprinkles with a baked chocolate donut recipe from Shugary Sweets. These cake donuts are very easy to make and pair wonderfully with the Sprinkle Pop sprinkles! Dia de los Muertos (or Day of the Dead), if you don't know, is a Mexican holiday celebrated by people throughout Mexico and by people with Mexican heritage. The intention of the multi-day holiday (31 October to 2 November 2018) is for families to gather and celebrate their departed loved ones. You've probably seen brightly-colored skulls in stores and as decorations this time of year...Dia de los Muertos decorations! 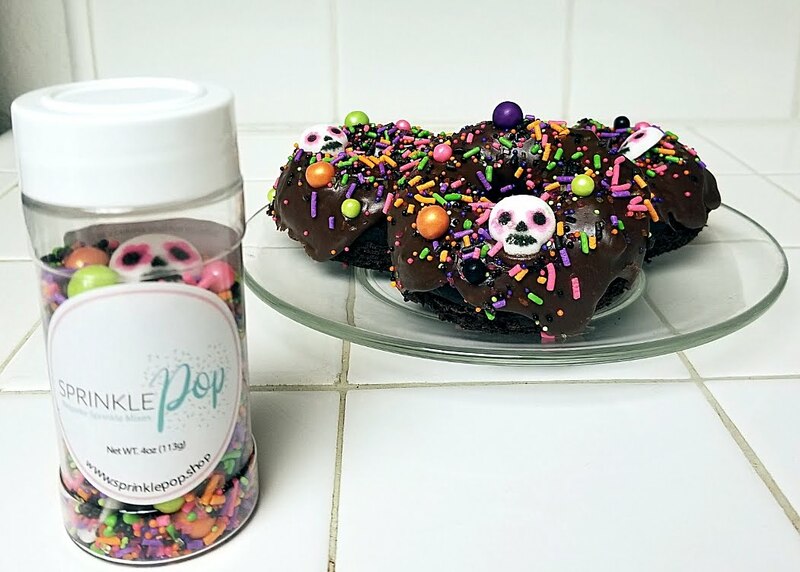 Try these donuts with Sprinkle Pop sprinkles to celebrate! 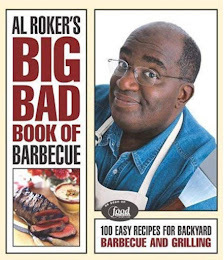 If it seems like there's a lot of cocoa powder in here, that's because there is. 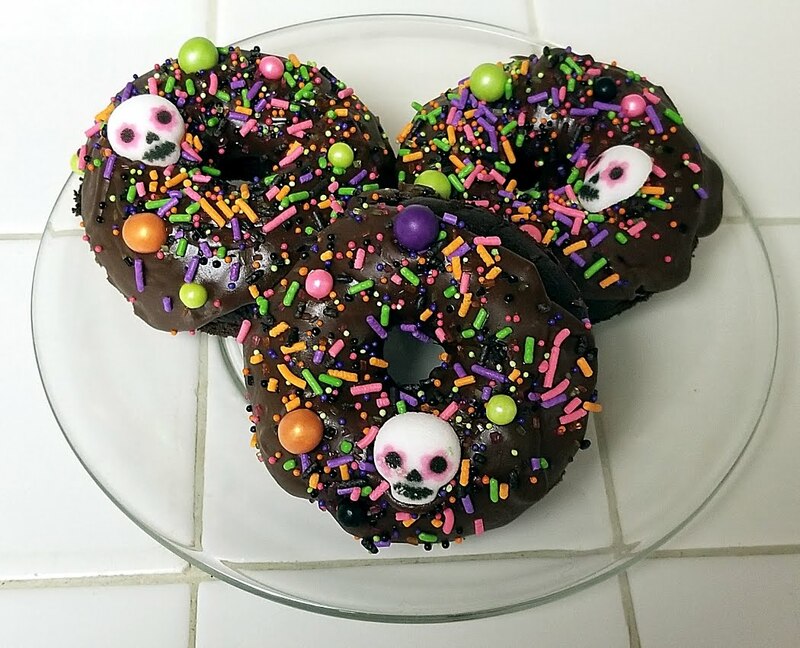 It makes these donuts deliciously chocolatey, so don't skimp! 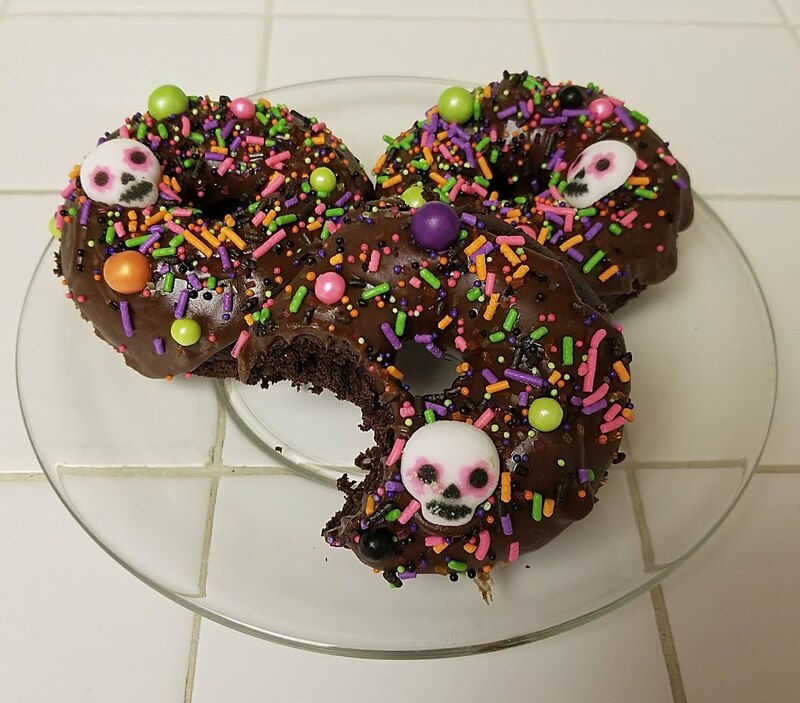 To make the donuts, preheat oven to 325 degrees Fahrenheit and whisk flour, sugar, cocoa powder, baking powder, baking soda, and salt in a large bowl. Beat in the eggs, milk, vanilla, and butter. 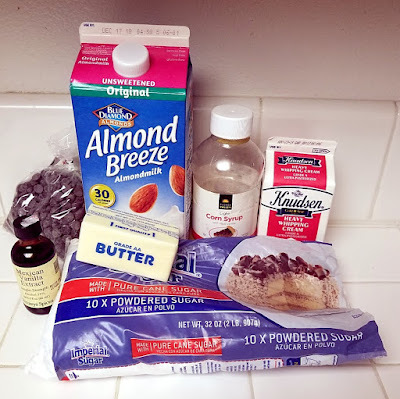 Spray a donut pan with cooking spray. Fill each donut cup 3/4 full. Bake for 11-14 minutes or until a toothpick inserted in the top of donuts comes out clean. Allow to cool slightly, then remove from pan and allow donuts to cool on a cooling rack. While the donuts cool, make the glaze. In a small saucepan over medium heat, whisk together the cream, milk, butter, vanilla, and corn syrup. When the butter is melted, turn the heat to low and add in the chocolate, stirring until smooth. Remove from heat and slowly add powdered sugar until the glaze reaches the desired consistency. Dip each donut into the glaze, sprinkle with the Sprinkle Pop Dia de los Muertos sprinkles, and allow to set, about 15 minutes. Make sure to check out all of today's #Choctoberfest posts below and enter to win our fabulous giveaway here.